With her characteristic wit, wisdom, and storytelling flair, Mireille will soon have you wanting to eat oysters at least every week—forget about saving them for special occasions only. She also shares her favorite oyster recipes and wine pairings. From the table at Huîtrerie Régis to your own kitchen, Meet Paris Oyster will transport you, certainly entertain you, and perhaps leave you craving oysters (or at least Paris)! 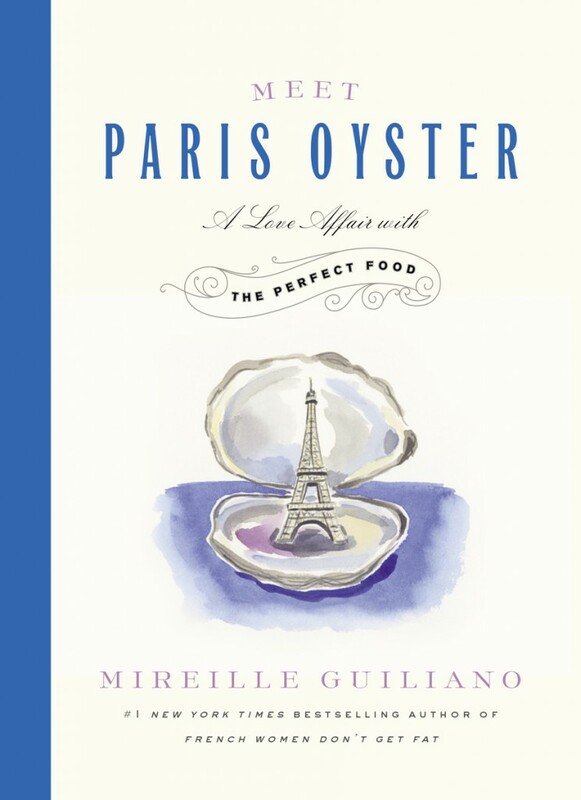 Subscribers, Meet Paris Oyster: A Love Affair with the Perfect Food by Mireille Guiliano, the #1 New York Times bestselling author of French Women Don’t Get Fat, gives us a memorable look at the French appetite for oysters, and the compelling reasons why we should all enjoy them. Free book giveaway to two subscribers ends November 14, 2014. A $20 U.S. value (November 2014; Grand Central Life & Style). Excerpt from Meet Paris Oyster by Mireille Guiliano. Copyright © 2014 by Mireille Guiliano. Used with permission of Grand Central Publishing. All rights reserved. Including recipe for Oyster Vichyssoise. AWP: We might say the oyster connoisseur is buying into the romance of the sea. What is it about oysters that make lovers of this edible saltwater mollusc—from the Belon oyster, eastern oyster, Olympia oyster, Pacific oyster, and the Sydney rock oyster—connect in such a powerful way? MG: Pleasure, the sea, the possibility to dream and the sensuality of those little pearls that lead one to imagine beyond the possible and, if Casanova had it right, love as many consider the oyster an aphrodisiac (like Champagne and a few other good things in life), and it works for me. AWP: How do you explain the French love affair with the oyster: the culture, the people, the traditions—the oysters? MG: As hedonists, gourmands, gourmets, seekers of conviviality and people who love to share these pleasures around a table with good conversation and laughter. It is inbreed in the French culture and rituals—what is New Year’s Eve/Day in France without oysters? AWP: What is the secret of the French oyster’s inimitable style paired with still or sparkling French white wine? MG: Anything goes. Keep it simple…and a little crisp, clean acidity helps. AWP: Can you share the French wines that marry well with oysters? And as well, condiments, sauces and accompaniments? MG: Because they are so many types of oysters, the wine is function of where and what and who is part of the meal. It’s more about experimenting as long as one sticks to Champagne or dry white wines such as Sancerre, Pouilly Fuissé, but the sky is the limit. To many oyster lovers no sauce or condiment is necessary; many have their oysters au naturel, or just a touch of lemon juice and/or some freshly ground pepper. Other like mignonette for contrast (vinegar and shallots), Tabasco (which the French detest as it destroys the taste of the oyster). In France, the obligatory accompaniment is very good bread (rye or country or sourdough) and salted butter which makes sense in the French culinary lifestyle that meals always have protein, carbs and fat in one meal, so a dozen oyster is the ultimate simple meal and oh so delicious. AWP: You were born and raised in France with a longstanding love of oysters and Champagne. What is this pairing like for you? MG: I’m for simplicity so lemon and freshly ground pepper and a glass of bubbly are as close to heaven as I can get whenever that meal is my menu. AWP: From 1940-1946, during World War II, many women tended winemaking and running the Château. How was it in France for the oyster gatherer and fish monger? MG: It’s always been a tough job that requires passionate and hard working people. And women have always had the key role in selling…often for winter months separated from their husbands. During World War II, women took over more of the work—as they did in the vineyards and wine cellars—though older men were there to help, and not that the work was easy but lots of it was manageable, especially the indoor work. And today much of the indoor work in the cleaning, sorting, packaging, shipping and in the offices is done by women. AWP: What kind of oyster lover, connoisseur do we find today? MG: All kinds. Oyster lovers know no age, though as more and more oyster bars open, people are being exposed to a wide range of oysters and are curious about learning a thing or two to expand their knowledge and experience the bivalves to the fullest. AWP: What is the legend behind the oysters “Casanova” effect? Is there a story from Giacomo Casanova on how to eat an oyster? This can sound disgusting to some and sensuous to others. Take your pick. Didn’t you do this with chewing gum as a teenager in love? AWP: Why did you feel that now in particular would be the right time to publish you book, Meet Paris Oyster? MG: Actually, I don’t function that way. Maybe I’m ahead of trends. Like in French Women Don’t Get Fat! I thought about it years ago before the current resurgent interest for the oysters existed and now that cities like Paris, New York and many others around the world have an increasing number of oyster bars. I wanted to write about it as I found few books on the subject and also felt the people in the oyster and wine business deserve to be talked about because their passion and hard work is often an afterthought yet without them we would be deprived of one of the greatest pleasures and then we can share it with others. So they deserve the medals and the awards too. GASTRONOMY: The practice of choosing, cooking, and eating good food. AWP: What are the great traditional culinary parings with oysters in France? MG: Most French people like their oysters raw but when poached or cooked they like to combine them with leeks, shallots, cream and the wine or champagne that will accompany them is often used in the sauce. Something quick and simple to prepare. AWP: Are you creatively testing new oyster and wine or spirits pairings? MG: What exciting combinations of taste and their creativity is boundless, though I’m not a spirit drinker so I’ll stick to wine. I love the sweet and sour and the umami of a new recipe is always welcome. AWP: How do you orchestrate oysters from the aperitif through the meal when you entertain at home? MG: I usually either serve them as aperitif and then have something different for the meal or serve some olives/nuts/prosciutto and then a platter of seafood with oysters, shrimp, crabmeat, clams for the meal so I get to the balanced French meal of protein/carb/fat. Occasionally, I’ve served Kumamoto oysters with the aperitif and made oysters Rockefeller as the main course then follow with salad greens, cheese and dessert. AWP: Do North Americans bring a different set of expectations to the oyster pairing experience than do the French? MG: Yes, because of sometimes being hygiene extremists some rinse the open oysters and the precious liquor is lost; others don’t serve bread (or good bread, sorry even a “good” baguette” does not work with oysters) and salted butter which for me would be like eating turkey at Thanksgiving without dressing and cranberry sauce. Hopefully, my little book will add a thing or two including the importance of a good shucker as finding grits in the oyster ain’t so pleasurable. AWP: Eating oysters in Paris: are there unspoken rules? MG: Not speaking/laughing too loud in a restaurant so as to respect other tables/guests is important but that is true of any serious restaurant. Not making noise while gulping down the oyster is a must. AWP: Do the French have a different attitude toward what they drink with oysters? The Americans? The Asians? The Italians? The Australians? AWP: Oysters: are there quintessentially French dishes, outside of eating the oyster raw, that the French love best? MG: In my family it was occasionally cream sauce and the inimitable leeks. AWP: Is there an art to complaints if one is unhappy with the oyster—with a valid reason, of course? MG: The fact that they are yummy like nothing else and such a power of nutrition should be enough but then never force anyone to eat anything they don’t want. The reasons some people avoid them could be an allergy, dislike in appearance or taste, the idea of eating live flesh, or just a prior bad experience. I found offering warm oysters is a subtle way to turn neophytes into oyster lovers. Always have an alternative for those who don’t love the bivalves or don’t invite them. AWP: What was your first experience that made you fall in love with the oyster? MG: Seeing what it did to my godmother’s face/look/smile/mood and an amazingly sensual behavior as she gulped her two dozen oysters each winter Sunday for lunch, slowly and focused as she did not want it to ever end. I still have that picture of her very vivid in my mind. Seeing her husband so happy to see her enjoy the bivalves completely convinced me that oysters were a food of their own and aphrodisiac indeed. AWP: Your career has taken you from a former chief executive at LVMH (Veuve Clicquot), to author of the New York Times bestsellers such as French Women Don’t Get Fat and French Women Don’t Get Facelifts. What inspired you toward a life and career so dependent on words and the ability to communicate? MG: Helping others to manage their relationship with food (including wine which for the French is considered food and as an element of a meal like a piece of bread or fruit). I know a lot of what drives us to the table to certain foods or eating habits is all in our head, and probably because all my life people kept telling me I was a good story teller and enjoy my bubbly tendency to tell yet another one, I was encouraged to sharing my stories and ideas with more people via the printed and now digital page. MG: Maybe because they feel I’m one of them, and I don’t take myself seriously. My stories have inspired readers in so many ways from eating differently, to learning how to cook, to leaving the job they dislike to moving to Paris for a year to live their dream, and even letting go of relationships that they felt not worth pursuing. As for my recipes, one does not have to be a chef or have great skills to do them: I use few ingredients and the recipes are easy to put together, delicious to eat and fresh, local and seasonal ingredients is a prerequisite. No point eating unripe and tasteless tomatoes or strawberries off season…switch to apples and winter veggies. MG: It depends who they are. One learns to read between the lines and follow some rather than others. It has to do with the type of food you want to cook, how much time and money you want to spend. My personal taste has evolved through the years, and I long for simple meals where the quality ingredients stand out and are the focus. I reserve fancy meals for special occasions in restaurants where someone else has spent hours creating and reproducing an elaborate dish. For casual meals at restaurants I now prefer good bistrots, look for simple dishes well prepared and tend to not eat appetizer/main course/dessert but pick one or two. We all eat much more (like up to 30%) than what we need, so “less is more” is an approach that works for me. AWP: How did your interest in food and wine unfold? MG: I grew up with a mother who was a very good cook and baker (no recipe book in our home) who learned from her mother’s restaurant where she occasionally worked. My grandmother had six sisters and all were good cooks and competed for the best this and the best that, so we learned to taste and compare and talk about good food and food preparation at the table. My grandmother opened a restaurant and my uncle had his own hotel with a good restaurant in a spa town in the South of France where he catered to all those spa goers who cheated eating out in the evening. He made everything from scratch (from pâté to omelette norvégienne) except bread! Wine came rather late for me as I did not know much when I grew up except for Champagne and Alsace wine (my mother’s favorites) and Burgundy (my father’s red taste mainly). It’s only when I met my US husband (who knew a lot on French and Italian wines when we first met) and started traveling to wine areas and then working for 20+ years in the wine business that my curiosity and interest grew and my knowledge slowly expanded. What’s fun about both is “the more you know the less you know.” So I am still curious, enthusiastic and experimentalist. AWP: When you moved to New York how did you grapple with the cultural differences? Can you share the moment when you knew it had changed for you? MG: It’s a fascinating question as many people who leave their countries go through it. At first, you fall in love with your adopted homeland and feel like a native and start seeing the flaws of your native land, then over the years things even out and you realize that each country has its culture, strengths and weaknesses and in later years I am getting nostalgic and feel more and more French and although I love both my preference has reversed to my native country in spite of all its flaws and current challenges. I just feel more in synch when I am there. And most of my closest friends live there. AWP: What American cultural nuances, attitudes, ideas, or habits have you adopted? In which areas have you embraced a similar aesthetic? MG: Professionally speaking I learned a lot here but in terms of habits, ideas, aesthetics and more I am and feel more French, and I know that my U.S. family and friends look at me as a French woman. AWP: How did you become a “little bit” of a New Yorker? MG: I have now lived more years in New York than anywhere else, and it is a city I am very fond of. I love its energy, its pulse, its dynamism, multi-culture and much more. AWP: You moved to New York in 1973. What was the New York culinary scene like 40 years ago? How is it different today? MG: It was a shock after Paris where as a student I had very little money but with so many wonderful and cheap markets I ate like a queen and loved to cook simple stuff. Here, there was nothing but supermarkets with not fresh looking veggies or unripe fruit and uneatable bread so much so that I learned to bake my baguettes and made croissants thanks to a wonderful French woman who had a cooking school rated the best in NYC in those days. She introduced me to Julia Child and taught me the basics. Today, the food scene in Manhattan is incredible. There are amazing restaurants in every type of cuisine, and restaurant goers are now savvy and demanding. MG: Paris has always been the most romantic place on earth in my book, a place I call home even though I did not grow up there but I have been feeling very Parisienne after five years of study till today. Many Parisiennes are like me coming from a province in France either to study or work and then never leave. My Parisian friends are from Brittany, Loire Valley, Burgundy, Lorraine, Provence, South West, Nice, Lyon, etc… Paris is a city like no other. It’s a wonderful place to be alone, and to get lost in, a city made for walking as each arrondissement has its marvels. I still love to walk and look up and am amazed that after all these years I still make discoveries sometimes in the most unexpected places. I also love its gardens, architecture, bridges, museums, bookstores, theaters and beautiful shops. I always say that if I lived there full time I may become materialistic because everything is always so beautiful to look at whether it is a pastry display or bags or shoes or jewelry or glasses or the way something is being wrapped. I love the cafés and the joie de vivre that I don’t seem to find elsewhere. I love being in Paris when the sun shines and the sky is blue but the rain and gray sky has its own charms too. New York has its own beauty with the skyline and the statue of Liberty and Central Park or Washington Square but has a lot of streets not so interesting to walk through or look at. The high line is making a huge difference and so is biking. The noise and smells can be annoying. The people are friendly and helpful here, and the weather is definitely better. I always tell people that Paris and New York are my two favorite cities though they are like apples and pears. I love them both. Actually I have learned through travel to be happy wherever I am and even though I always feel sad leaving Paris the minute I land in New York I switch off the key and feel happy here. MG: My Paris is actually not the one of clichés like “les deux magots” of “place du tertre” or spots one goes to as a tourist. I much prefer the little private corners of Paris, what I call my secret garden which I am not going to share though there are many but I’ll be selfish on that one and keep them private for now. Let me give you one as it does not exist in NYC: cemeteries not only Père Lachaise but the Montmartre or Montparnasse ones are always a moving experience visiting. MG: You have to have many French friends to experience this and live there for a while. Going as a tourist, living in a hotel or apartment just does not do it. It’s an experience and definitely worth doing, but it’s not like living in Paris with the French. Maybe it’s better but it does not really allow for penetrating into the French character whether it is food, style, culture or travel. We are all different beasts and cultural differences make a country unique. The soul of a country is its culture and depends on beauty, art, fashion, manners and much more so it takes a lifetime. MG: Trying to keep it extraordinary to the end wouldn’t be too bad. Next is doing more for and with women because I feel lately women have been regressing. If we want to change the world, and I believe we will we need to be more giving, more forgiving, more involved, more committed, show more solidarity, compassion and empathy and stop wasting time on small and mean stuff (you know the snarky stuff on the Internet). Men laugh at us and no wonder we are not taken seriously. We need a big attitude change so we can show and give our best. We can do it if we set ourselves to the task. You may also enjoy A Woman’s Paris® post French Impressions: Ann Mah’s “Mastering the Art of French Eating” on gastronomic adventures in France. Ann Mah is a food and travel writer and author of a food memoir, Masting the Art of French Eating and a novel, Kitchen Chinese. When journalist Ann Mah’s husband is given a diplomatic assignment in Paris, Mah, a lifelong foodie and Francophile, begins plotting gastronomic adventures à deux. Then her husband is called away to Iraq on a yearlong post—alone—turning Mah’s vision of a romantic sojourn in the City of Light upside down. Including a recipe for Bavette aux Échalotes (skirt steak with shallots). French Impressions: Capital Fare: Patricia Wells on great French food in Paris. 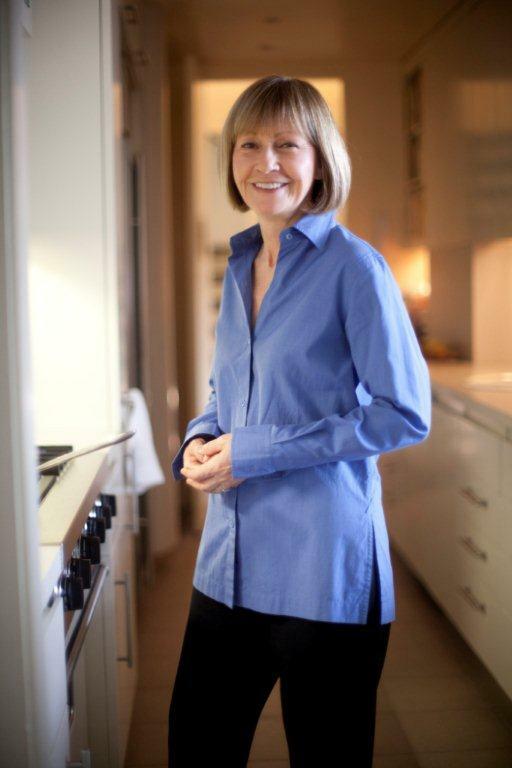 Patricia Wells, author of the award-winning Bistro Cooking, and for more than two decades the restaurant critic for The International Herald Tribune, takes readers, travelers and diners to the best restaurants, bistros, cafés, patisseries, charcuteries, and boulangeries that the City of Light has to offer. Including Willi’s Wine Bar’s Bittersweet Chocolate Terrine—the irresistible chocolate dessert that is one of Patricia’s Paris favorites. French Impressions: What’s cooking in Paris: David Lebovitz on the secrets of French cuisine.Ten years ago, David Lebovitz packed up his most treasured cookbooks, a well-worn cast-iron skillet, and his laptop and moved to Paris. In My Paris Kitchen, David remasters the classics, and introduces lesser-known fare. Through his recipes and stories we get insight into his delicious and extraordinary world. Including David’s recipe for Salted butter caramel-chocolate mouse. French Impressions: Alexander Lobrano on eating well in France: a culinary tour of alluring inns, food producers, restaurants and winemakers. Alexander Lobrano was European Correspondent for Gourmet magazine from 1999 until its closing, and has written about food and travel for Saveur, Bon Appetit, Food & Wine, the New York Times, Wall Street Journal, Guardian, Travel & Leisure, Departures, Conde Nast Traveler, and many other publication in the United States and the United Kingdom. Every food lover’s ultimate dream is to tour the countryside of France, stopping off at luxurious inns with world-class restaurants and sampling fresh produce and regional specialties from local markets. Including an excerpt from Hungry for France. French Impressions: John Baxter’s “The Perfect Meal” and Finding the Foregone Flavors of France. In this delightful culinary travel memoir, John Baxter follows up his bestselling The Most Beautiful Walk in the World by taking readers on the hunt for some of the most delicious and bizarre endangered foods of France. French Impressions: Paula Butturini on writing, adversity, and finding grace in asparagus. Paula, following her work as an East European correspondent based in Warsaw and freelance writer for The New York Times, Boston Globe, San Francisco Examiner, Houston Chronicle, Miami Herald, Washington Post and Baltimore Sun, left journalism to resume writing her book, Keeping the Feast: One Couple’s Story of Love, Food, and Healing. Keeping the Feast, is an extraordinary story of family and place––following her husband’s shooting, recovery and rehabilitation; and the immediate restorative pleasure of a single Italian meal. Leave a reply on "French Impressions: Mireille Guiliano’s “Meet Paris Oyster” in pursuit of the world’s best oysters and wine pairings with them"